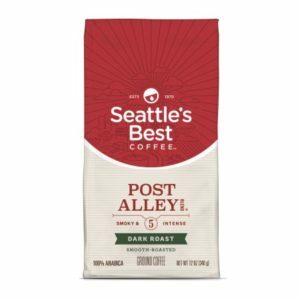 When it comes to finding a truly powerful and flavorful blend of coffee, Seattle’s Best Coffee is a good starting point. The company has a number of flavor profiles to choose from, but one of the best by far is Post Alley Level 5. It may not be the most recognizable of the company’s products, but it has an intensity and flavor profile simply too hard to overlook even by those who may have limited coffee taste bud development. Post Alley Level 5 is not a boring cup of coffee by any means. Rather, this dark roast coffee is one of the best overall options for those who are looking for a bold flavor. 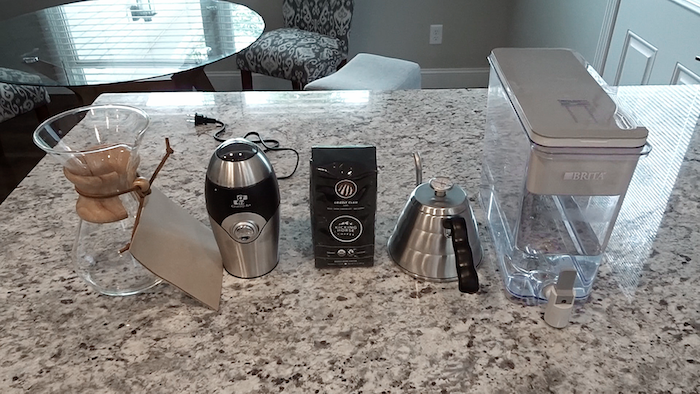 It is robust and it is rich, but this is what makes it a go-to option for those who are looking for a truly wonderful cup of coffee every time. Seattle’s Best Coffee describes its flavor as smoky and intense, and this is clearly what can be expected. The first experience with it is its brewing – it fills the room with a welcoming, invigorating scent unlike any other. Once blended, it is clear this is the type of coffee blend that can excite the senses and create a strong, wake-up experience for drinkers. The company sells Post Alley Level 5 in several forms. It is available ground, in whole beans, and in K-cup pods. By far the best experience comes from grinding your own beans – the sweet scent is sure to create a freshness no other product offers. After brewing, Seattle’s Best Coffee recommends waiting for a moment to allow the aroma to awaken your taste buds. This does happen. Taking in a deep breath of this coffee creates a strong awakening. And, yet, the taste itself is perhaps the best experience possible. What is there to love about Post Alley Level 5? It has a low acidity level, which creates a much more smooth cup of coffee than other products out there. The flavor is rich and bold. This is a truly high-quality cup of coffee. It has a strong, even intense aroma, especially from the fresh grinding of coffee beans. It will wake up the senses and get a person moving on the right path each morning. The richness of this flavor profile makes it an excellent choice for those looking for a decadent coffee base from which to build. Some may find the taste a bit too intense or too bold for them. This is not a simplistic cup of coffee, but rather one with intense and strong flavors. There is no bitterness to it, but it can create a strong flavor profile that can be too much from those who may like simple and watered down or mild cups of coffee. In many ways, Seattle’s Best Coffee Post Alley Level 5 is an excellent choice. Though the intensity may scare some coffee drinkers, it has much to offer those who are looking for a bold flavor without any bitterness within it. It can be an excellent choice for those who are looking for a good base they can add flavorings to, but it is always going to be best when brewed after grinding the beans fresh. Drink it only after smelling it deeply first for the best experience. 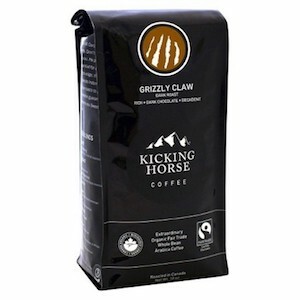 Looking for Kicking Horse Coffee Grizzly Claw review? We got you covered. Kicking Horse Coffee, that’s a name you won’t be forgetting any time soon, right? This particular type is called the “Grizzly Claw”. With a name like that, I knew I was in for a treat, I knew that this wasn’t going to be a coffee for the faint-hearted. I was excited, to say the least, so many coffees these days just fall short of the mark, they promise the world but then don’t deliver. Exotic, luxurious names that are evocative of far-flung tropical paradises full of rich, flavorsome coffee, and then they end up tasting like you’ve just bought it for 99 cents from an awful gas station or that you’ve just microwaved an old cup that you found on your desk, not quite sure how old it was but you risked it anyway. So, this morning was when I brewed my first pot. I can confidently say that this was some of the best coffee I have drunk in a long time. Bold but not acidic, in my opinion, the best combination. 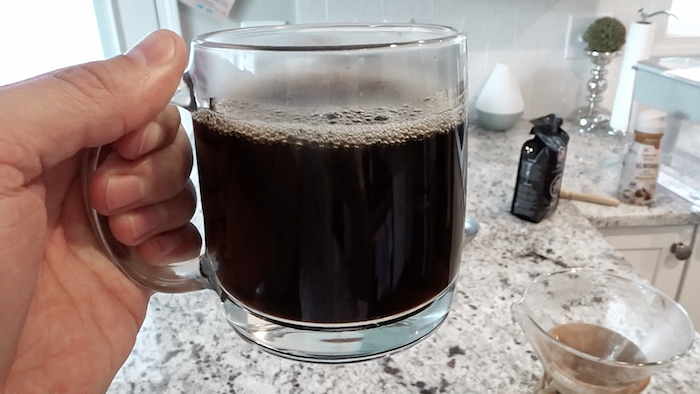 I cannot necessarily attest that it brings me much more of a “kick” than any other varieties that I’ve tried but I will say that the smooth, chocolaty flavor is infinitely more enjoyable than pretty much anything I’ve brewed at home before. That’s not to say that it’s not without its shortcomings, after my second cup I began to notice a weird aftertaste in my mouth. It was nothing too bad, though, and it certainly didn’t stop me from finishing the rest of it and ordering another two packets (let’s not mention that the price is a little steep and that it most certainly is a dark roast although there seems a lot less of an oil sheen on the beans). It’s a very dark roast, so light roast drinkers beware! It’s very robust in flavor but still smooth which is sometimes a tough combo to create. I’ve decided that this coffee has the perfect name. It’s strong, it hits you like a haymaker from Hulk Hogan, and manufacturers are confident enough that it’s a crowd pleaser that they were prepared to give it a name as ridiculous as Grizzly Claw. Grizzly Claw has a dark chocolatey sweetness surrounding an indomitable strength, it’s delicious. I seriously recommend that you try this coffee. Even when it’s been left in the pot too long, its drinkable! I don’t recommend old coffee, but that has to attest to this coffee’s quality. It never tastes burnt. I mean I couldn’t possibly drink it all the time – it’s way too strong for that – I like and I need sleep! So, if you want a brash coffee that assaults your taste buds and fills you with feelings of pure exhilaration, then you need Kicking Horse’s Grizzly Claw. I’m going to give this coffee a solid 5 stars because it competes with my favorite dark roast coffee, Seattle’s Best #5 roast. Have some questions or comments about this coffee? Leave them below. Thanks for watching/reading!